Any backup scheme maintains a history of changes to files, such that you can go back in time to pick up a version of a file from months or years back if you discover it’s corrupted. Or if you discover, often months later, that you’ve lost that file somehow. 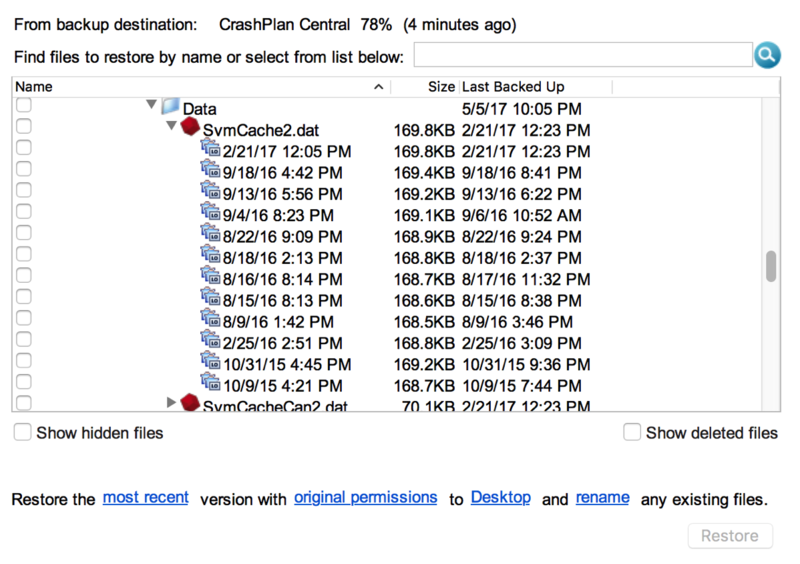 That history, and all the old versions of your files, are on Crashplan’s servers, or on your own network shares. When Crashplan stops working, all of that history is gone forever. Crashplan offers no way, even proactively, of recovering that history so you can move it elsewhere. In other words, to be marginally safer than no history it all, you need to immediately begin building up a version history right now. And even then, if you discover in a year that you need a file from before today (or whenever you get your new backup scheme running), you’re out of luck. There’s no way to recover that file anymore. So, where do we go from here? Assuming we need off-site backup (yes, we do), where do we go? 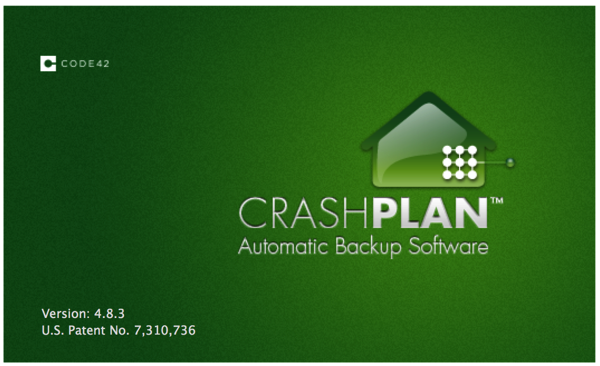 Crashplan suggests two options: bump up to a business account with Crashplan, or move to Carbonite. Well, bumping up to a business plan would mean staying with the same provider that already showed you how they treat customers, to a service that is more or less the same thing we had, with the only difference that we get to pay a lot more for it; $10 per device per month. 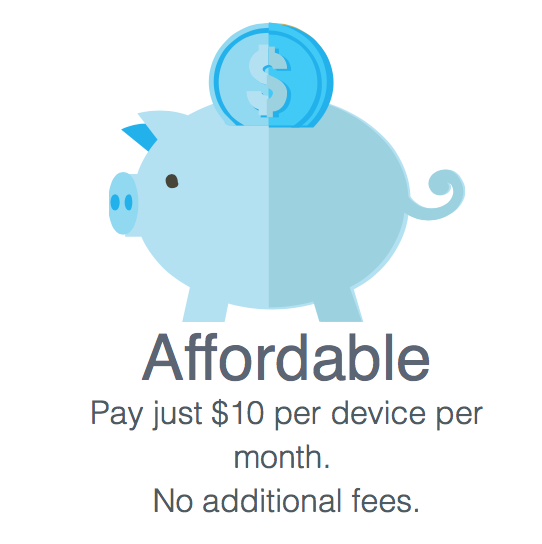 For me, that would come to somewhere between $50 and $100 per month. And, as I already said, for staying with a vendor we have absolutely no reason to trust anymore. That’s not going to happen. We would get to keep our file version history, but that’s about the only advantage. Everything else is a negative. $10 a month per computer. 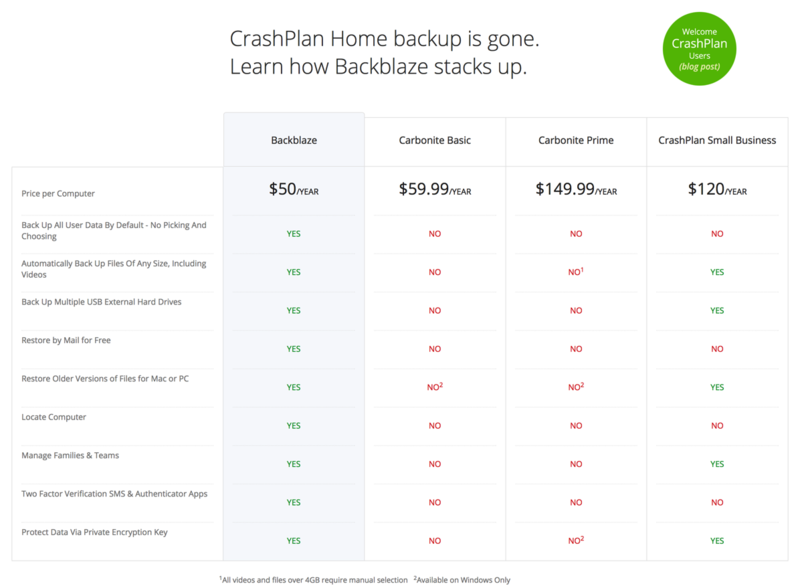 Crashplan business price. Crashplan made a deal with Carbonite so that we’d get a pretty low price switching to them, but even in that case, our file version history isn’t moving along. We have to restart backups from scratch. Add to that that Carbonite charges per computer, and has a pretty poor user experience on OSX (they’re better on Windows), and it’s not a good alternative. Backblaze is, technically speaking, a lot more attractive. But again, they charge per computer, which doesn’t suit me one bit. In my case, and I’m probably not alone, I have a couple of machines I use, and I also run several virtual machines on those. The only decent way of running backups is by not backing up the virtual machine file from the host, but to install a backup client inside the virtual machine, but that runs up the number of instances quickly. (I should add here that “block mode” backups, like Retrospect does them, sounds like they could work to back up a virtual machine file from the host without excessive data quantities, but I need to try that in reality before I count on it. We’ll get to Retrospect later.) Backblaze becomes very expensive if you do that. Add to that the fact I’m completely turned-off on any online backup service like any of these, now. Backblaze or Carbonite may very well do a Crashplan later, and I’m again left to restart the file version history. Nope. Ain’t walking into that again. There’s also Arq, which has a much nicer price, but in my case, with two users and a server, it would be around $150. Add to that the cloud service charges. Since it doesn’t do local backups, as far as I can see, you would either have to have a second system for local complete backups, while doing a smaller documents-only backup to the cloud, or backup everything to the cloud, which would mean terabytes. The charges would be huge. So Arq doesn’t solve my problem. All of this started me thinking about Retrospect again. Before I started using Crashplan a number of years ago, I ran Retrospect locally. The main problem with that was that it was just local backup, and we all know the risks. Burglary, fire, flood (not so much here, but still), lightning strike, and on and on. Also, if you’re not careful and you have the backups on locally attached drives, there’s the risk of ransomware locking up the lot from under you. But nowadays, Retrospect directly supports a number of different cloud storage providers, such as Google, Amazon, and Backblaze B2. Naturally, they do sell add-on licenses if necessary. They provide clients for OSX, Windows, and Linux (some versions). I haven’t yet installed on Linux so I’m not sure if that works if the Linux is headless, without a graphic shell. And I’m also unclear on if the regular client runs on Ubuntu Server, or if you need a server license for that. The documentation is unclear, so I’ll just have to try sometime. You can run clients on the same range of OSX, plus on Windows back to XP, and an assorted number of Linux versions. I’m running the Retrospect server on a Mac Pro 2008 on OSX 10.10, which is the latest version this machine supports. (Update: no it isn’t, it’s 10.11. Updated it to that, now.) No problems. We’re clearly not into the average consumer business frame of mind, here. I’m not going to go into all the features you have in Retrospect, their site covers that comprehensively. I’d recommend downloading a trial; you get an ample 45 days to try it all out with unlimited clients. I do want to talk strategies and network layouts, though. In my case, I have the server I need to backup on a different network from the rest of the machines. The reason is that I have two WANs here, one for the business and one privately. The private one is much faster, so that’s where I placed the Retrospect server. Retrospect discovers clients using multicasting, but that doesn’t work for me, especially because of the different networks, but you can enter IPs directly, and that works. For the server I have on another network, I decided it would be simplest to reach it over the internet, so I opened up UDP and TCP on port 497 for Retrospect inbound on the firewall, and limited source addresses to the public IP belonging to my other network. I wouldn’t feel entirely safe exposing these ports to the world wild net. You can set up the client IP in Retrospect using the actual IP number or the DNS name. Works fine! My plan is to run full backups locally to some huge storage, then smaller home folder/documents backups to the cloud. So now the question is, which local “huge storage”? And which cloud storage? Let’s start with the local storage. I stuck the drive in an external Deltaco eSATA connected dock and the system immediately and fully recognized the 8 TB. I also tried it on a FreeCom USB 3.0 dock connected to an iMac 5k, and that one also recognized it fully. But then I got a nasty surprise. 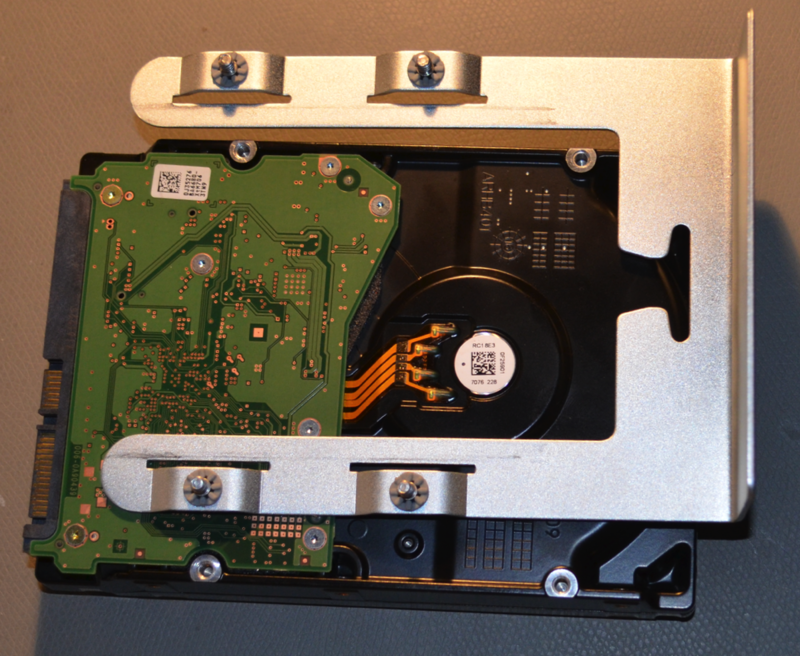 The mounting holes on these drives are different. After some ducking I found out (no, I didn’t know) that the layout of the mounting holes on drives have been changing the last couple of years. When looking at them it seems obvious why, since the old holes were really close to the spinning disks. But sadly, I can’t mount it in the sleds for the Mac Pro. There are sleds with these new position on the market, but only for Mac Pro 2009 and later. And it looks really difficult to create something yourself that would work. Mismatch between mounting holes in a Mac Pro 2008 sled and a modern 3.5″ HD. In any case, I couldn’t create a decent RAID array internal to the Mac Pro, anyway, since the only RAID card I have (the Apple original) doesn’t support this size of drives, and I don’t fully trust software RAID. Also, I really don’t have enough drive slots in the Mac Pro anyway. Another possibility would be an external, but locally attached, drive cabinet, for instance using eSATA, which is decently fast on this old machine. It has a PCIe SSD disk card, an Accelsior, which includes two eSATA external ports. That’s what I use for external drives in the dock I mentioned. It allows transfers to external drives in the 120 MB/sec range. Not crazily fast, but way better than over USB 2.0, which is the only USB standard the machine supports (unless you add 3rd party USB 3 cards, of course). But both internal drives (if they could be mounted at all) and locally attached storage have the problem that they’re reacheable from any application on the machine. Think ransomware and shudder. The only thing protecting the backups is the fact that Retrospect writes them with owner root:admin, but the slightest mistake could mean they become accessible to malware. For instance, if you run as admin and forget to disable that. 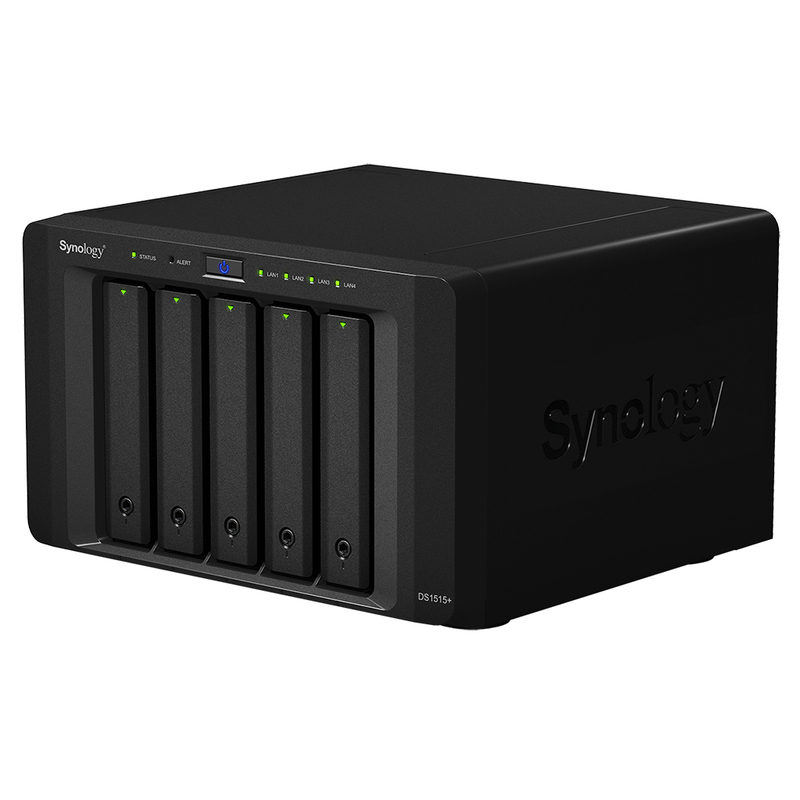 Using a NAS solves some of these problems. In particular, Retrospect is capable of logging in to the NAS over SMB or AFP, so if you provide a secured share, there ought to be no risk that malware can access that share directly. In my case, I have the added luxury of having two independent gigabit ports on the Mac Pro, so I can dedicate one of them to a subnet where nothing but the NAS resides, and the other port to connect to the rest of my network. That insulates the NAS even further and has the added advantage of not sending even more traffic over my regular net. It does, however, have the disadvantage that I can’t access the NAS for other purposes from, for instance, my desktop, but I can live with that. There needs to be some backups done to the cloud. There’s always a chance the local storage will be destroyed by fire or carried off by thieves, and in that case, I still want to have access to at least any documents I’ve been working on. I can’t possibly have complete backups in the cloud; the data volumes both in transit and at rest would be prohibitive, but if I can distill it down to 1-2 TB total, it should be doable. Using cloud storage as a reduced version of my local storage also neatly avoids making me dependent on a cloud storage provider to maintain my file version history. As long as nobody walks off with my local storage, I have it here. If someone does walk off with it, I can get new local storage and then copy whatever I have in the cloud, and actually have the original file version history back where it belongs. No more Crashplan fiascos. Question now is, which cloud provider? 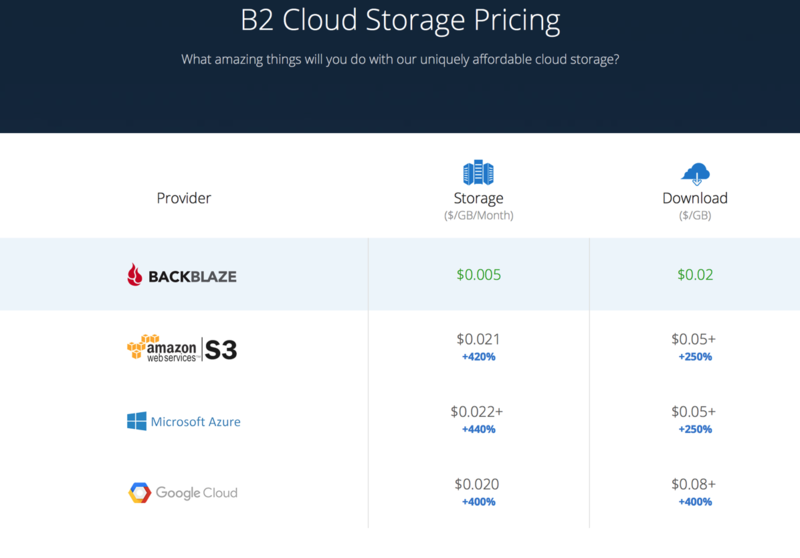 As far as I can see, The Backblaze “B2 cloud storage” service is by far the cheapest and simplest of them all. If you can believe their price examples, they’re about a quarter of the cost of Amazon, Google, and Microsoft for the range 1-2 TB. 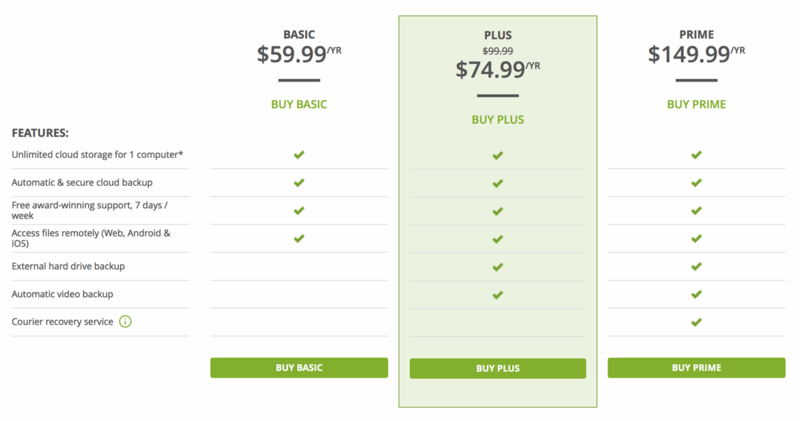 Pricing of Backblaze B2 storage, compared to the three “biggies”. Interestingly, with Retrospect, I can use more than one cloud provider at the same time, either copying the same data to several, or have different backup scripts and selections of files going to different services. None of this is possible with classical cloud backup solutions such as Backblaze cloud backup, Crashplan, or Carbonite. Update 2017-09-17: the latest Retrospect (14.5) also supports Wasabi cloud storage, which turns out to be even cheaper than Backblaze B2, at least if you have a low turnover of data, and low download volumes. They also give you a month trial with 1 TB. I’m trying it out now. 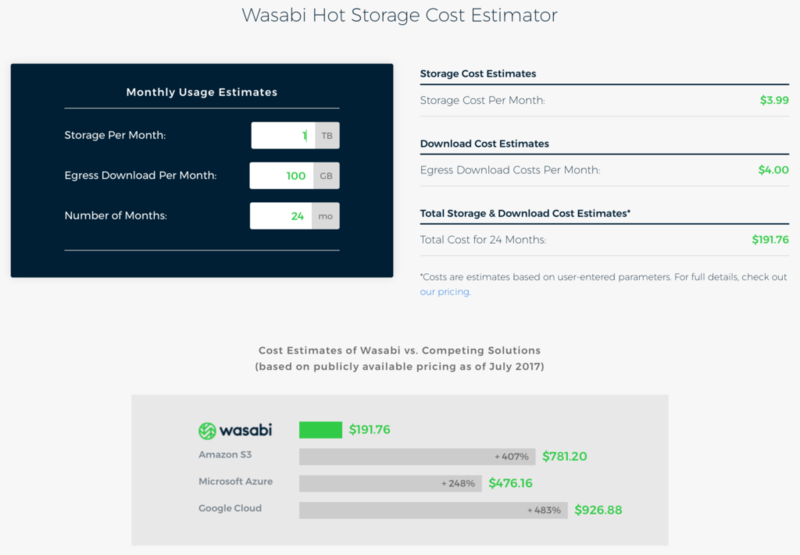 Wasabi price for 1 TB and two years. Retrospect also works with tape drives out of the box, but I’m not likely to make use of that. I’ve used tape drives in the ‘80s and ‘90s, and even though it’s fun watching them spin, they’re notoriously difficult to maintain across computing generations. I still have some tapes lying around, but no way of reading them back. So I’m not going that route again. However, Retrospect can use removable hard disks in media sets, just like tapes, so you can for instance make a media set of a couple of terabyte drives, then do swap out the drives as each fills up. I’m not sure how, or even if, I’m going to use that, but since I have around a dozen 500 GB, 1 TB, and 2 TB drives, it sure is tempting. There’s yet one more really useful thing you can do with Retrospect, namely “archiving”. This is a process whereby you select a folder somewhere, then move it to a backup. Typically, you’d use that for project files after you finish working with them and you’re not likely to need them in the near future. This has the potential of freeing up gobs of disk space on your desktops and laptops, while keeping the archived files safe, and able to be restored at a moment’s notice. None of this is doable with cloud backup solutions. In any case, regardless of if you do online or local backups, you need drive snapshots every now and then so you can get up running quickly if a drive fails or is stolen. What I used to do while relying on Crashplan for home folders, is to do Superduper, and later Carbon Copy Cloner copies of my system drives every now and then, keeping those drives locally. I figure that if those disappear, I’ll have a harder time recovering, but I’ll still have my documents safely online. When you do this, you should really see to it that you use File Vault so that all your home folder info is encrypted on those drive backup images. Interestingly, Retrospect can also do bootable images. I’m testing it out right now. It’s pretty clear it’s slower than Carbon Copy Cloner or Superduper, but it allows the creation of a bootable image from any connected client to an external drive connected to any other connected client or to the Retrospect server. If that works as advertised, it’s extremely convenient. Actually, if you do full backups the regular way of your machines, you can produce a bootable full image by way of restore, then use that to boot a new machine. Very interesting, and something I’m certain to test out. If this really works, I may not even need to do individual images anymore. Stay tuned. Nope, these can’t be backed up by Retrospect, but neither could Crashplan. Also, Apple does an admirable job of backing these up so it’s a non-issue. When you add up the investments in hardware, software, and the yearly maintenance for Retrospect, plus cloud charges, it’s definitely more expensive than just a cloud backup service, even one like Backblaze, but the flexibility, assurance, and functionality is way, way better. It’s not even fair to compare. Only having a cloud backup service, even with boot drive images to complement it, is probably a false economy, which became abundantly clear this past week. That’s about all we can thank Crashplan and Code 42 for.